The category of compact enclosures, which despite their small size can accommodate as many large components as possible, is becoming increasingly popular. Only recently we tested the Kolink Rocket, a representative of this kind, and with the Raijintek Ophion follows another model. 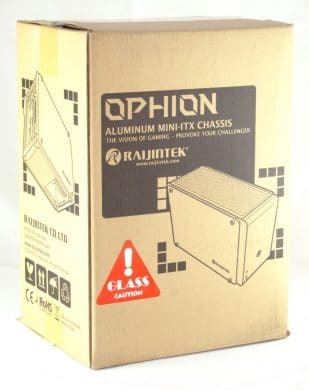 The Ophion is available in two versions, which differ slightly in size: The normal Ophion currently costs around 125 euros, the Ophion Evo around 130 euros. The following test deals with the normal execution of the model. The two housings differ only in their dimensions: The Evo version is slightly higher and thus offers space for a 240 millimetre radiator in the lid, the normal housing can only accommodate two 120 millimetre fans due to the limited height. 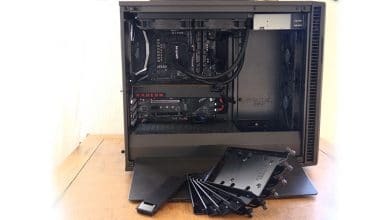 Apart from that, the two housings are identical: they offer space for an ITX mainboard, a classic ATX power supply and dual-slot graphics cards with a length of up to 330 millimetres. Also, the enclosures do not rely on metal side panels, but on glass windows on both sides – a novelty for this type of enclosure. Alternatively, aluminium side panels can be purchased, which together cost 25 Euro or 30 Euro (Evo). 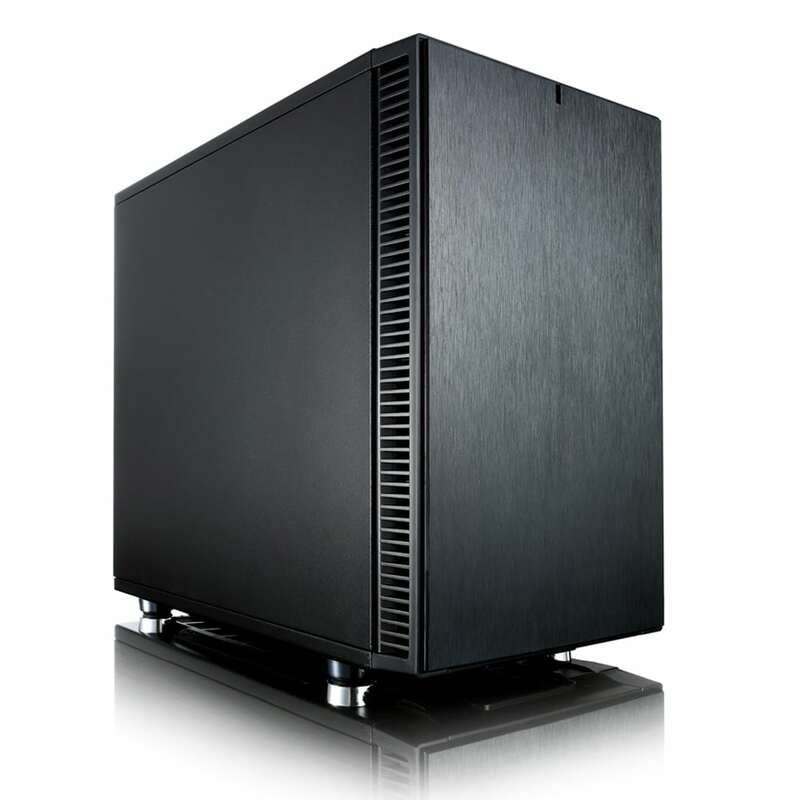 The enclosures choose a middle course between maximum compactness and low-cost components: Some cases of comparable design require for example more expensive SFX power supplies or limit the height of the CPU cooler considerably. Even the Ophion is not generously dimensioned here with a height limit of 90 millimetres, but there are already numerous top-blow coolers for this height and one is no longer limited to a handful of coolers like the particularly low NH-L9a. 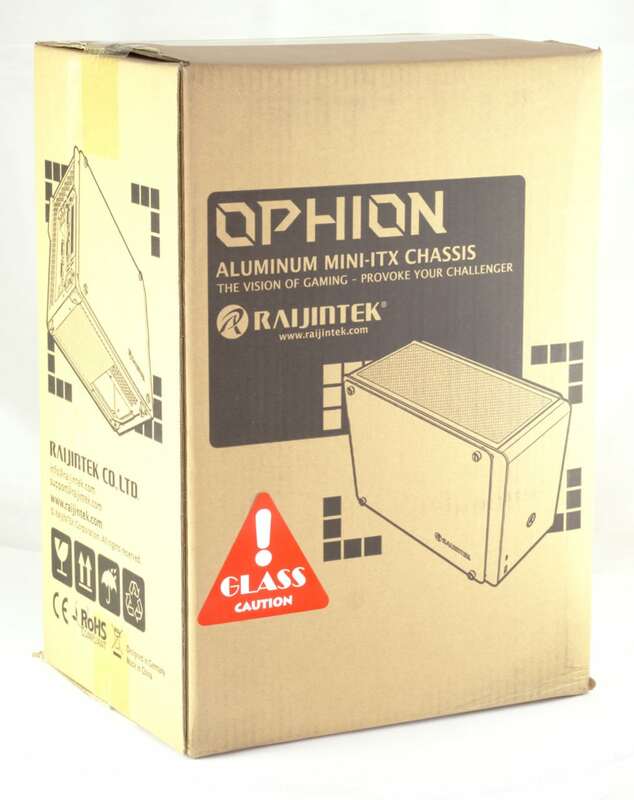 The Raijintek Ophion is delivered in a plain, black printed cardboard box, which is almost tiny compared to the usual housing packaging. Inside is the housing, which is wrapped in foam to prevent damage. 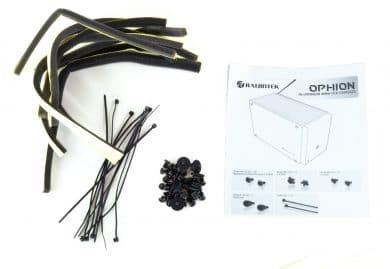 The housing is supplied with all screws required for installation, ten cable ties 15 centimetres long, an operating manual and several self-adhesive foam discs. The latter are cut so that they close the gap between the window and the housing, because normally there is a gap of six millimetres here. On the one hand this offers an additional air inlet or outlet, on the other hand it is a possible entry gate for dust. Depending on whether you prefer a dust-free housing or an improved air supply, you can attach the foam strips or do without them. I am co-founder of this blog and am very interested in everything that has to do with technology, but I also like to play games. I was born in Hamburg, but now I live in Berlin. 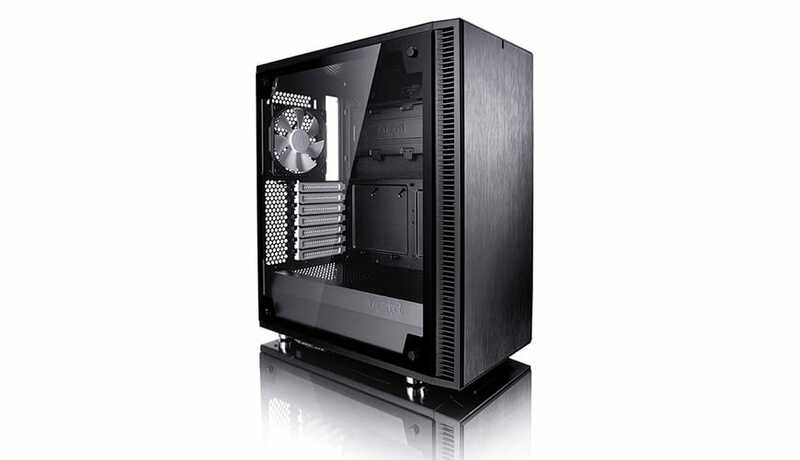 Fractal Design Define S2 Review: The Ideal Case for Every PC? How to Find the Perfect Gaming Headset! How to Find the Perfect Gaming Mouse! How to Find the Perfect Gaming Keyboard! 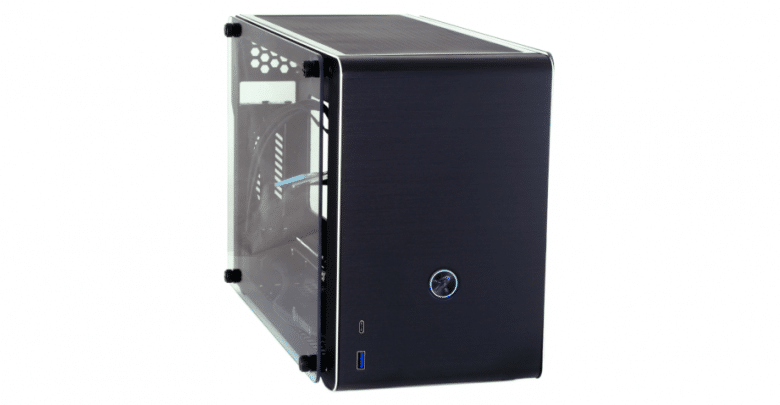 Price: € 124.90 Jetzt bei Caseking ansehen! Basic Tutorials is a gaming and technology blog that provides you with comprehensive news, reviews and tutorials about technology and gaming as well as the latest deals. The highlights are our popular sweepstakes. Contact us through one of our social media channels to send us your hint or suggestion for improvement. We look forward to your message!